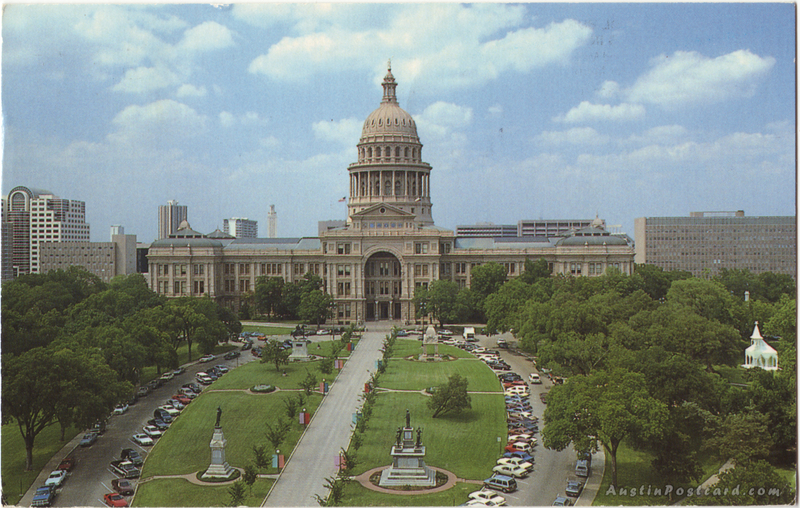 Text on Back: Capitol Building and Grounds in Austin, TexasThe building was dedicated May 16, 1888. The exterior pink granit quarried near Marble Falls Texas. The Goddess of Liberty stands on top of the Capitol Dome.